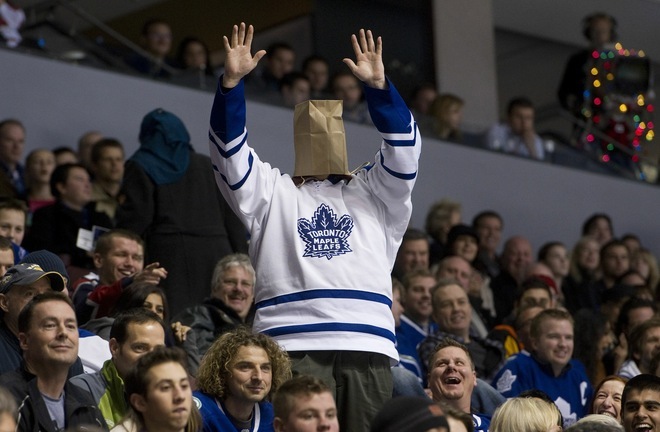 The Toronto Maple Leafs for their standards are playing a little better, but it’s still very hard to be a fan of this losing club. Another year we have to sit here and look up at the Montreal Canadiens in the standings. A slap in the goalie pads to our buddy Puck Daddy for posting this Eminem/Rihanna Maple Leafs parody from the hilarious music video making site Hockey Gods. Bahaha. Love that video so much. i wish that Habs girl was my girlfriend! Go Habs Go!